Off Limits to Occup. Forces! the children , 2 pics. 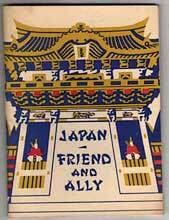 Anything you wanted, or needed, to know about Japan, it's people or it's customs is contained in this booklet.